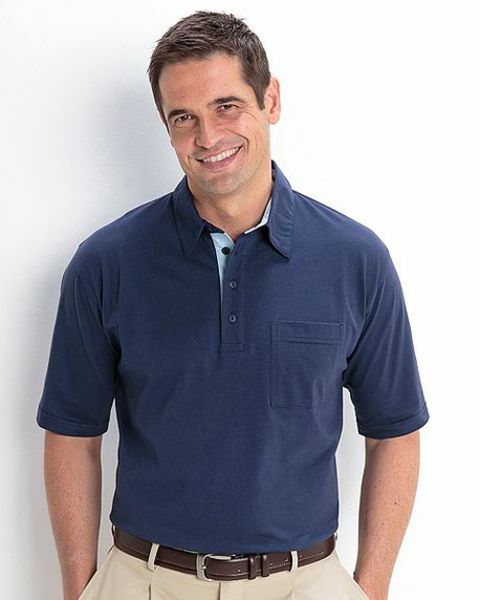 Navy mens polo. Machine washable. Sizes M-XXL.